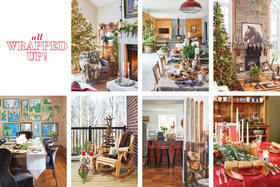 Time stands still in this home steeped in tradition and memories. 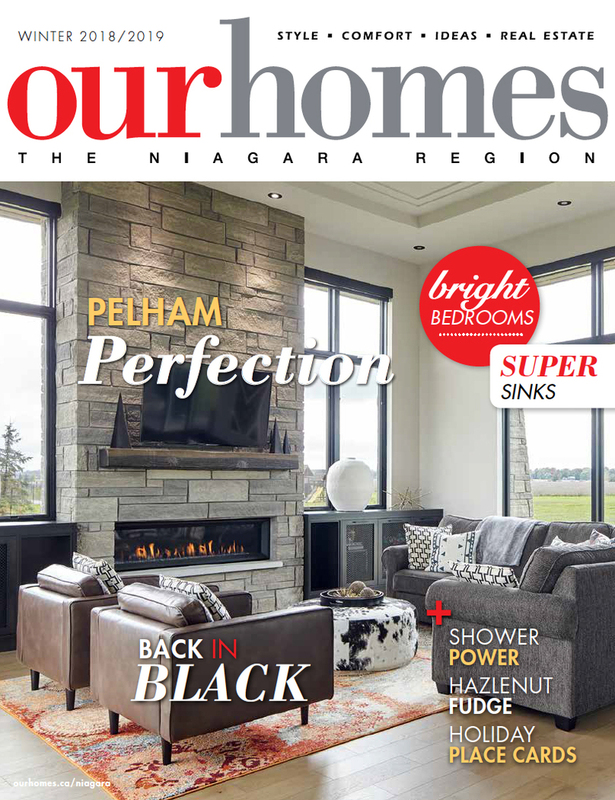 A version of this article originally appeared in the Winter 2018/2019 issue of OUR HOMES The Niagara Region, p.64. Find local businesses in our Niagara directory. 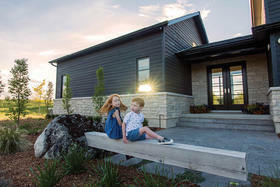 It’s exactly what Architect Wayne Murray of Chapman Murray Associates Architects Inc. had in mind when he designed the Zavitz home. Outside, the timeless stone facade, with supplies from Burnstein Brick, blends into the landscape as if it’s been there for generations. A handmade gate welcomes guests into a classic French courtyard, which leads to the grand entrance announced by a custom-made Crowland Sash & Frame Ltd. wood door. 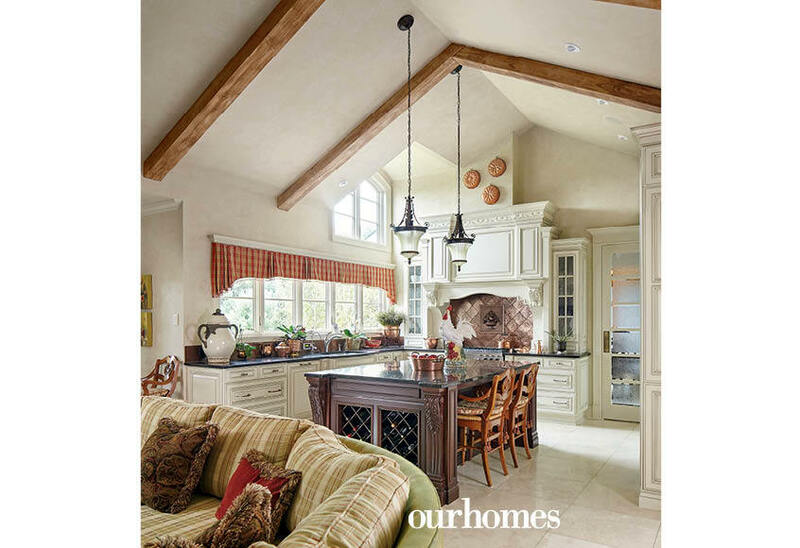 At the core is a large, open-concept living room, kitchen and built-in dining banquette with a soaring A-frame ceiling marked by rustic wood beams. The living room is flanked by an elegant fireplace from Stamford Fireplaces topped with a disappearing television installed by Dell Smart Home Solutions. 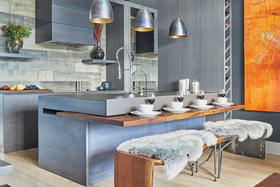 “The kitchen has this amazing old-world charm even though it’s not old,” Jocelyn says. Cromade Cabinetry designed and built the cabinets. A large island doubles as a buffet most holidays. Integrated appliances are from Nickerson Home Appliances and a quilted copper backsplash brings out the warm tones in the woodwork. Cromade also produced built-in cabinetry in the bathrooms, which are outfitted with fixtures from Bathworks. 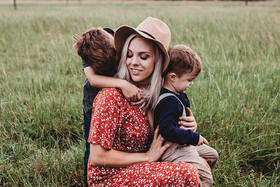 Limestone floors were picked to withstand years of running shoes and rainy-day indoor play from Star Tile Centre. 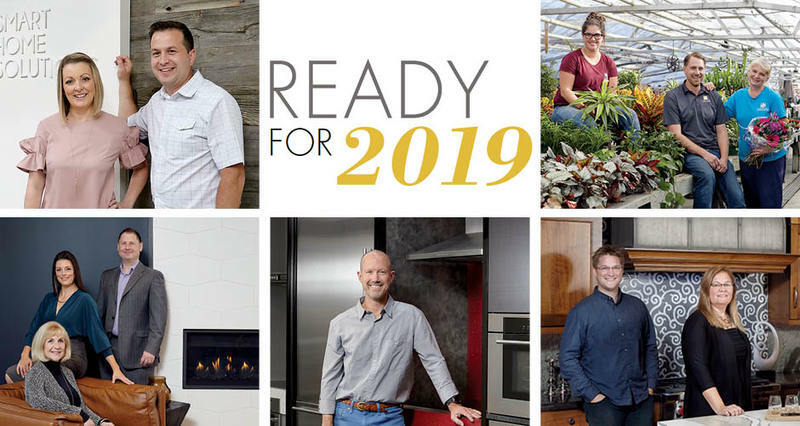 The Zavitzes say they couldn’t have achieved this without the help of Eileen Santoro of Design Concepts by Window Decor. She worked with Pym & Cooper and many of the trades and artists to bring the Zavitzes’ vision to life. 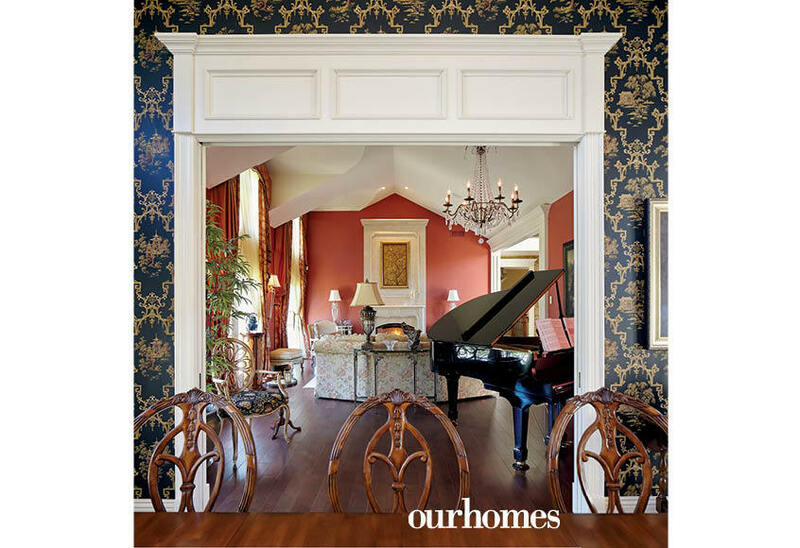 Santoro designed the millwork details, wall finishes, coffered ceilings, furnishings, window treatments, and guided the painters and artists who hand-painted every surface to create an old-world look. The home's electrical system is backed up by PMG Generator Services. 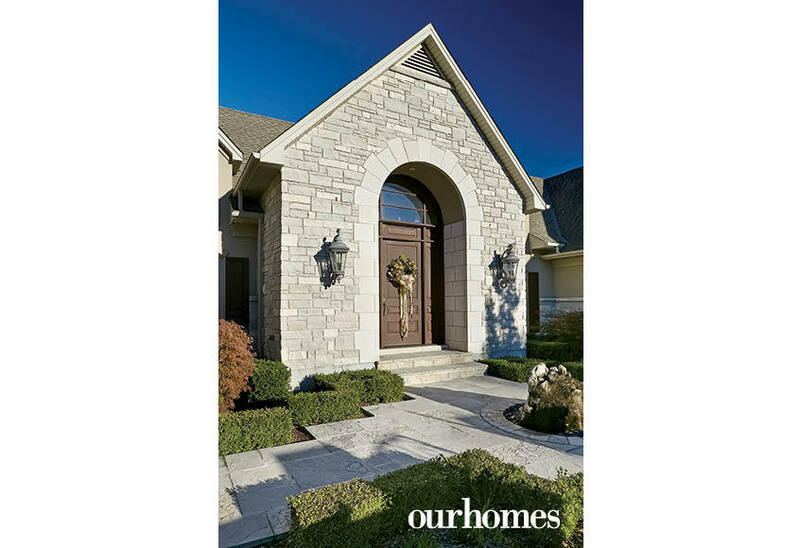 An oversize, custom front door adds grandeur to the main entrance. 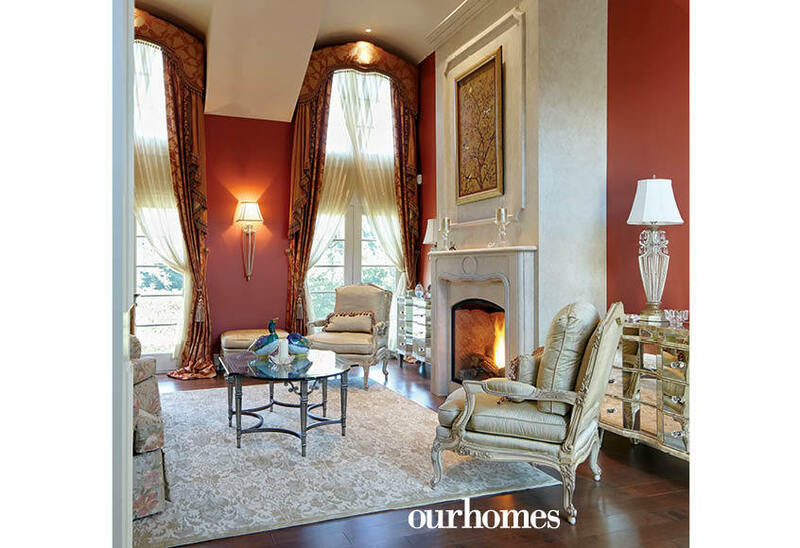 Architectural details, including tall, arched windows, give the home an old-world feel. 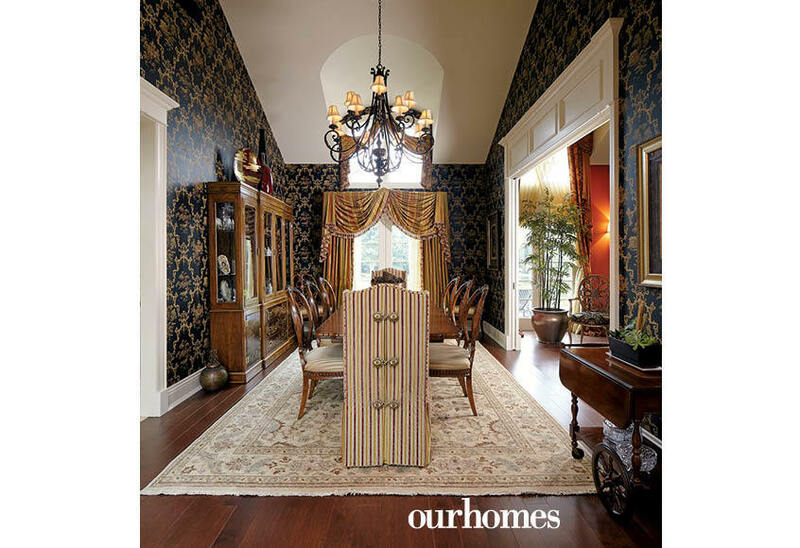 Layered fabrics and ornate furniture give a sense of opulence. 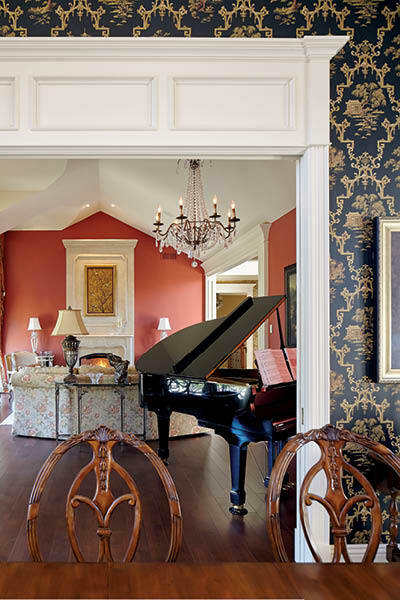 The dining room overlooks the living room with a grand piano to gather around after dinner is eaten. Cathedral ceilings, dark wallpaper with an Asian motif and an Oriental rug and add richness, warmth and airiness to the dining room. 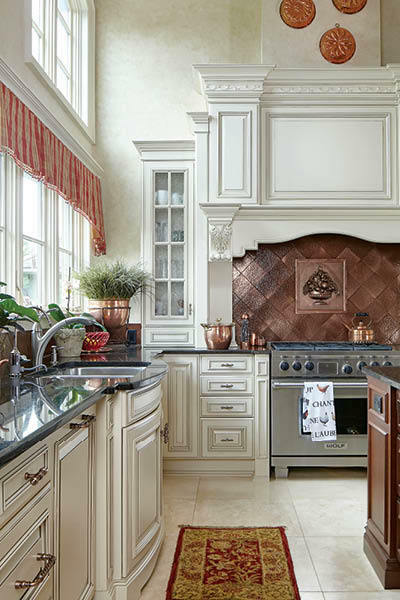 The kitchen features sharp details, including a quilted copper backsplash, granite countertops and warm tones in the cabinetry. 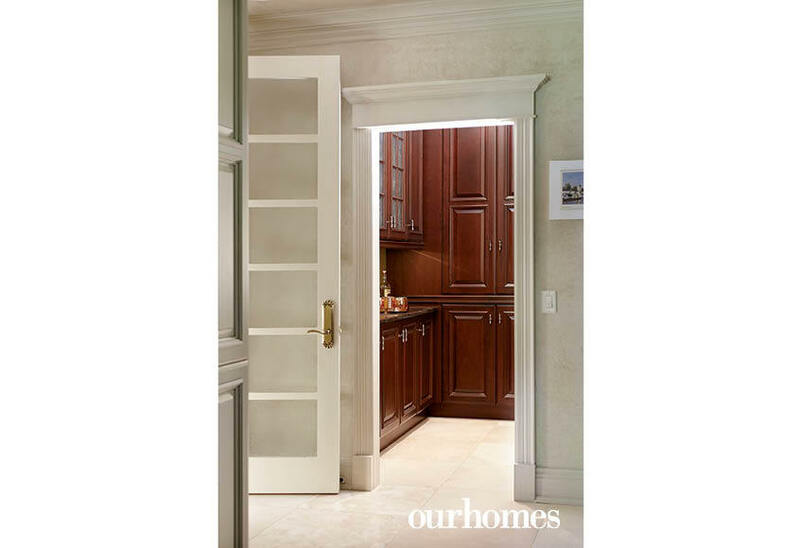 The butler’s pantry transitions between the kitchen and formal dining room with darker cabinetry. 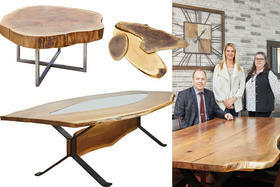 It offers a place to tuck away serving utensils as well as small appliances. A built-in banquette in the kitchen nook provides comfortable seating and a view to the cosy family room. 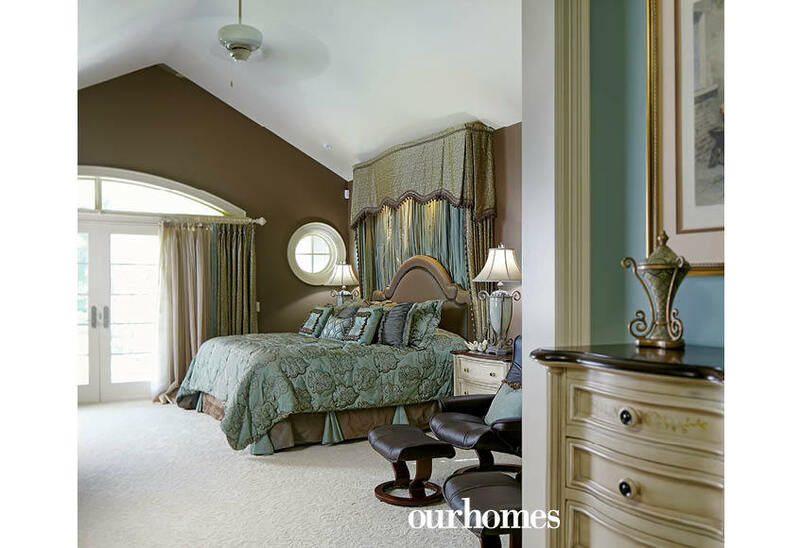 The master bedroom features french doors that open onto the sprawling and pristine backyard. 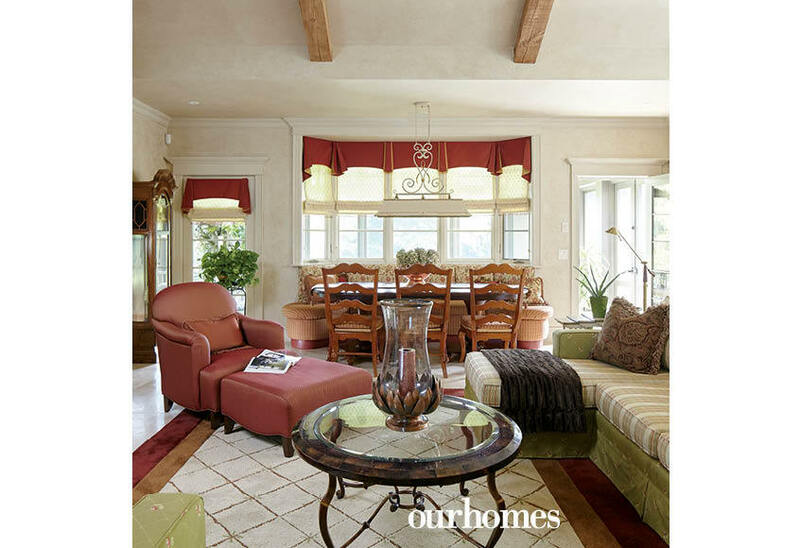 A vaulted ceiling is accented with a round window and curved transom window. 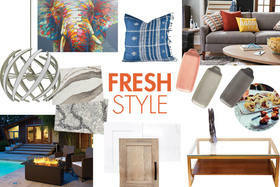 An upholstered headboard is layered with fabric. 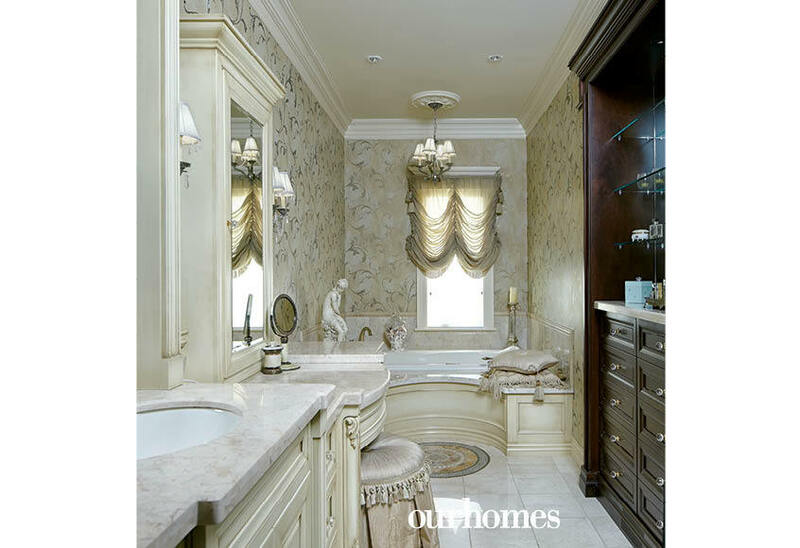 The master en suite continues the warm tones found elsewhere in the home in the cabinetry and richly decorative touches. Curves in the wallpaper reflect the drape of the window coverings. The circular shape of the tile inlay repeats in the ceiling medallion and vanity stool. 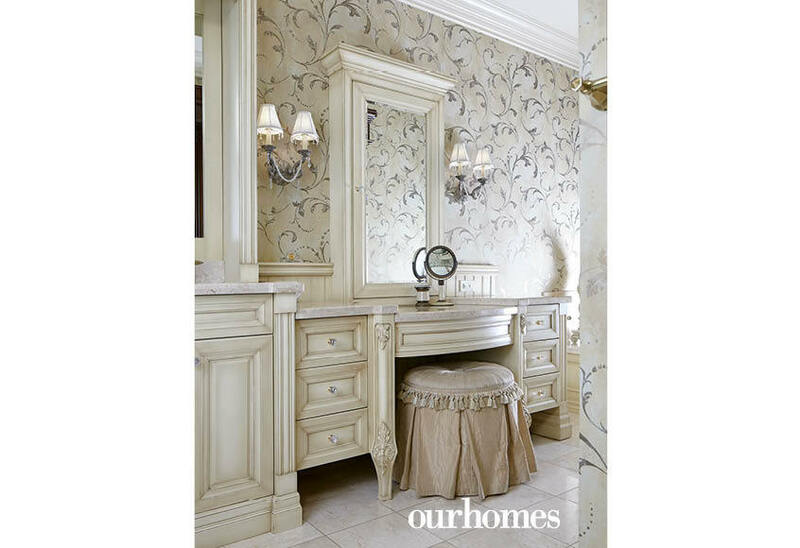 In the en suite, a round, upholstered stool tucks under the multi-level vanity. Ample drawers offer storage for all the necessary beauty supplies.